Two more Wakering players selected to represent the EWFL. 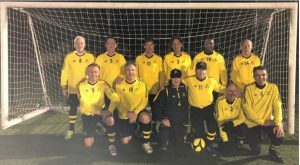 John Burkett and Pino Schisano were invited to attend at the Essex Walking Football League 65+ representative trials 14 April 2019 at Colchester. After competing in two highly competitive matches both John and Pino were selected. The club congratulates them both and is confident they will represent the Essex rep side, Wakering WFC and themselves admirably. 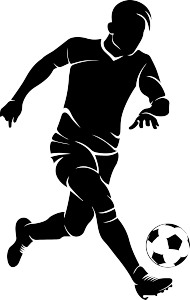 David Hampson has been selected into the over 60’s walking football County representative side. The club wishes David every success. Wakering WFC played their first round of league matches at the Len Forge Centre 27 March 2019. The first match was against Concord Rangers who they beat 2-0 with well taken goals by David Hampson. The second match was played against Eastwood Falcons Blues with Wakering winning by 2-0 with goals from David Hampson and Peter Henry. The third match was played against Leyton Orient seeming one of the favourites to win the league. This match ended in a 0-0 draw although Wakering continually threatened the Leyton Goal. The final match against Eastwood Falcons Yellows last years runners-up was a fraught affair seeing blue cards shown to both sides. Deadlock was broken by a pinpoint free kick from John Burkett which was riffled in with a stunning volley by Peter Henry. Goal of the tournament and must be a candidate for goal of the season. Wakering sit at the top of the table with 10 points and goal difference of 5. Wakering WFC are considering starting an over 65’s team for next season (2020). Anyone who is interested and would like to have a trial then please contact John Burkett via the club’s email: enquiries@wakeringwfc.com or fill out our enquiries form which can be located on the club’s website contact link. The Essex Walking Football League starts 27 March 2019 with Wakering playing Concord Rangers- Eastwood Falcons Blues-Eastwood Falcons Yellows and Leyton Orient last years champions. Wakering WFC are proud to announce that Peter Henry has been selected to represent England in an International match be played on the Sir Alf Ramsey pitch against Wales at St Georges Park 3 March 2019. Well done Peter we all wish you the success you deserve. Andrew Chambers and Andy Sharpe have been invited by England South Eastern Region Manager Mark Elnaugh to attend at Barnet FC on 23 March 2019 for trials. We wish both Andrew and Andy success and it is hoped that they can join Peter Henry and Paul Pinch as England team members.